There is a bit of smoke and mirrors-style misdirection going on in the build-up to today's Champions League Last 16, first-leg clash between Manchester United and Paris Saint-Germain. There has been an awful lot of hullaballoo and kerfuffle on how PSG is going to fare in Old Trafford without the injured Neymar and Edinson Cavani. "There's no point putting pressure on Mbappe," was the stern response from PSG boss Thomas Tuchel on if the young French forward could cover all the ground required up front. And he's quite right. PSG's job against United is not to win, but instead to avoid defeat. And that's where the midfield and defense comes into question, especially as PSG don't really have a midfield at the moment due to injuries and exiles. The pressure should instead be on Manchester United's shoulders. The English team has had a remarkable turnaround since Ole Gunnar Solsjkaer took over winning 10 games from 11. However, a failure to win this particular encounter will make life very difficult indeed in the return leg at a ground where PSG has won 12 from 12 in Ligue 1 and defeated Liverpool. 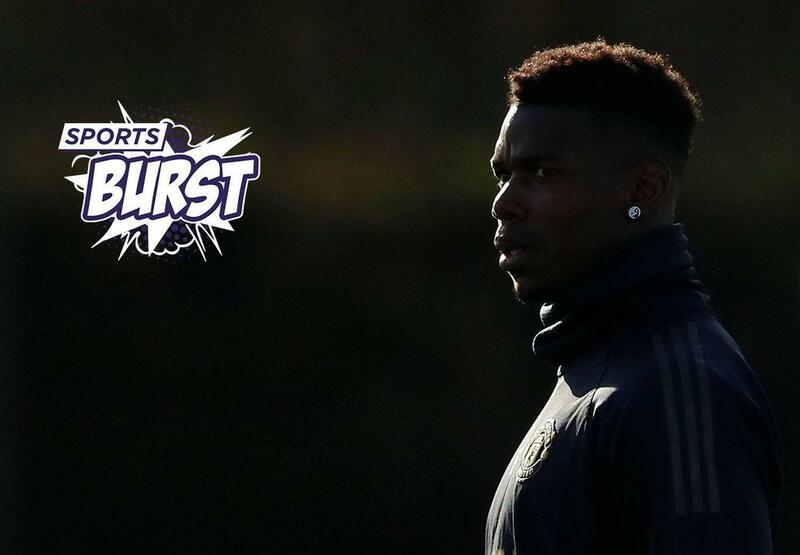 Get the lowdown on this sensational shake-up on the live Sports Burst show. Just go to our beIN SPORTS Facebook page at 12PM ET / 9AM PT. As much as the Manchester United and PSG affair will be sucking up the media attention today, there is a second Champions League clash taking place. That game pits Roma against Porto. The 101 on this one is that Roma is not exactly in fine form this season and has a habit of either conceding seven goals in big games (Fiorentina, Bayern Munich) or pulling off big surprises such as knocking out Barcelona, which happened last year. Porto? Flying high at the top of the Portuguese Primeira Liga and Pepe is back for them. Which is always fun to watch. South America's version of the Champions League, the Copa Libertadores, returns to beIN SPORTS screens on Tuesday with the stand-out clash of the day being Atletico Mineiro looking to move past Danubio with the tie even at 2-2 in the Second Qualifying round, second-leg encounter. That game is live on beIN SPORTS at 4:05PM ET / 1:05PM PT to kick off a full evening of action. Looking even further ahead and at least one game in the Europa League might actually look interesting, which is quite an achievement. That game is Chelsea's away match at Malmo. A defeat there and it could be Swede dreams for Maurizio Sarri's chances of lasting until the end of the season as the Stamford Bridge boss. The Guardian is reporting that the rest of February is going to be telling for Sarri whose team is suffering some shocking form in the Premier League and is now facing back-to-back-to-back cup ties. Lose those games and Sarri will be banished from Stamford Bridge with Gianfranco Zola taking over, before Frank Lampard becomes boss this summer. The Luka Jovic to Barcelona story has gathered some steam on Tuesday with a price now being bandied around as to what Barca would need to buy the Serbian striker currently on loan at Eintracht Frankfurt from Benfica. That figure is $45 million. In other Barcelona striker news, Don Balon is reporting that Lionel Messi has ordered that Kevin-Prince Boateng should not be allowed to return to a football pitch while he is on it. The notoriously picky Argentinean poacher is apparently not enamored with Boateng's football stylings.